PatternStream Automated Publishing Solutions | Automated Publishing Done Right! PatternStream provides the means to aggregate information and present it to citizens, management, and other interested parties. PatternStream allows users to rapidly setup, test, modify, run, and save automated publishing projects. PatternStream takes advantage of Adobe InDesign and InDesign Server superior formatting and publishing capabilities. PatternStream takes advantage of Adobe FrameMaker and FrameMaker Server superior capabilities. Setup is accomplished using a graphical user interface (GUI) without the need to learn a programming language or meta-language. PatternStream works as a stand alone application to create XML and HTML or as a plug-in application to Adobe® InDesign® and Adobe FrameMaker® either in the desktop or server production environments. All of your information can be automatically imported and placed where needed in the final document – along with and inner dispersed amongst the database information. PatternStream generates Adobe® InDesign®, FrameMaker®, PostScript®, and Acrobat (PDF) files as output for electronic distribution and print. Additionally, PatternStream can be used online generating PDF, XML, and HTML files for web distribution. PatternStream can also directly generate Microsoft Excel files to enable information distribution in spreadsheet form and mark-up files (e.g., HTML, XML, etc.). For two years a Fortune 500 Company tried to automate the publishing of their documents using competing applications – to no avail. Their experience was slow, arduous and laden with compromise. By deploying PatternStream, and of the 100 publications mandated for 2006, 36 were placed in production in less than 6 weeks! Why is this important? Due to their first two application choices, they spent hundreds of thousands of dollars needlessly, lost opportunities to satisfy their customers, and suffered near project failure. Employing PatternStream, their deadlines are now ahead of schedule, at a fraction of the cost, and with no compromises. Needless to say, they are ecstatic and simply amazed at the productivity they’ve enjoyed using PatternStream. To date we have not encountered a print format that cannot be published from a database using PatternStream and InDesign or FrameMaker. From the simplest directories to the most complex catalogs and from the smallest two page report to the longest reference book, our systems can efficiently and cost effectively publish them all! That’s in addition to PatternStream’s digital file format output capabilities which include PDF, HTML, XML, and XLS (Excel) – and can be created concurrently with print output. 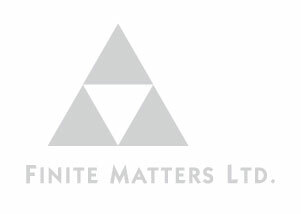 © 1995 - 2011 Finite Matters Ltd.